Would highly recommend Mark Shaw, staff were really efficient and helpful. Made things easier at a difficult time. Sadly this was the second time in a very short period of time that we had to use the services of Mark Shaw but as previously, the level of customer care and compassion was just right & they were flexible and understanding of our needs. A family member commented, "the funeral directors were very good, you hardly noticed that they were there", I think that says a lot. Very good indeed. We could not have asked for better. Everything was done as we wanted and with care and compassion. The cars were fantastic and the flowers beautiful. Would recommend Mark Shaw highly. We are very grateful to Mark and his colleagues for helping us meet our sister's wishes for care after her death and her burial. Mark treated our requests with sensitivity and professionalism and without judgement, offering advice when we asked or were unsure, but never imposing his own opinions, to deliver a highly personalised service. At the burial, where we wanted to do much of it ourselves, he and his colleagues were reassuring and supportive, there when we needed them and otherwise unobtrusive. We were extremely happy with he funeral service arranged by Mark Shaw Funeral Directors, who provided a thoroughly professional and personal service throughout. We were impressed by Michelle's thoughtfulness and caring attitude, which thankfully never descended into morbid mawkishness. Thank you all. Anna Dewar and the Deans family. A very professional, caring service with attention to detail. I would highly recommend. Anne-Marie & the team at Mark Shaw were patient, compassionate & considerate, nothing was a problem for them and I can pay them no higher compliment than to say that we didn't have to worry about any of the arrangements that we'd made. From the outset Mark Shaw and the team put our minds at rest for the organising of my Fathers funeral allowing us to concentrate on other important matters during this difficult time. 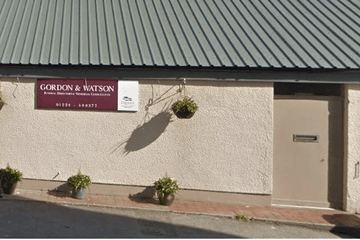 Their care, attention to detail and thoughtfulness through the whole process was clear to see and all we can say is a big thank you to Mark and team at Mark Shaw Funeral Directors. Mark & his staff provided a sensitive & appropriate private service for my father in his premises in Kincorth. Our family were very satisfied with the entire service provided. Please ask Mark Shaw Funeral Services, Aberdeen to join Funeral Zone in order to get a free obituary.